I look forward to the Import Vintners & Spirits Association (IVSA) Trade tasting. You get to try the new wines, liquor, and beer coming into the BC market, and be the first to tell you what to search out in your local wine shop, or BC government liquor store. With the latest IVSA, here are my picks. I hope you have a chance to enjoy some of them! Santa Cruz Verdejo 2011, Spain ($12.99). This is a wine, made from the Verdejo grape, you may want to consider for your summer sipper. Nice citrus and stone fruit nose. Round, light body with stone fruit flavours. Medium acidity to make it pair nice with some seafood. 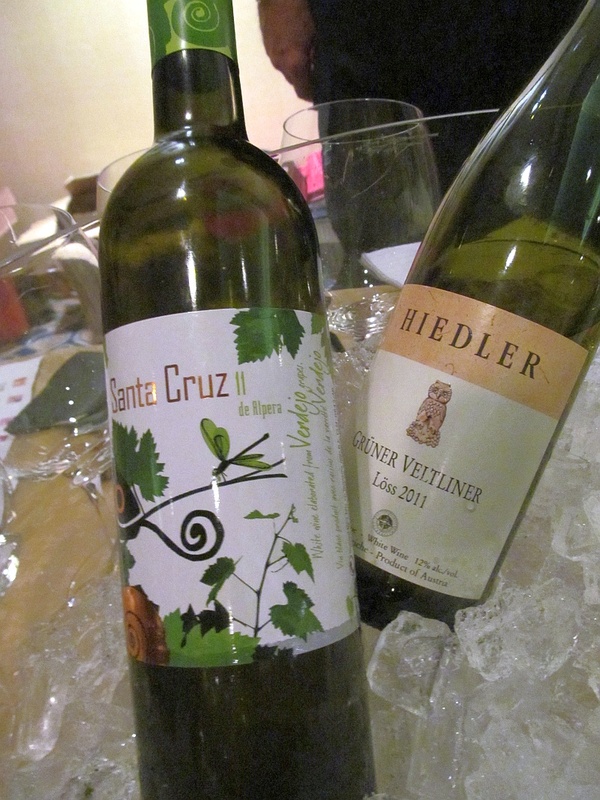 Hiedler Gruner Veltliner Loss 2011, Austria ($18.99). Another food friendly wine. It had a harmonious bouquet of aromas covering red apples, vanilla and citrus. Dry, higher acidity with red apple flavour. Mouthwatering finish. An elegant wine. Zind-Humbrecht Muscat 2011, Alsace, France ($29.99 SPEC). This is a One Time Buy wine by Trialto. If you have a chance to buy it, get it sooner rather than be sorry. This wine had herbal, orange and sweet spice aromas. Off dry, light body with flavours of apples, white peach, flowers, and honey that dances on your tongue. Some herbal tones on the finish. Lugana S. Caterina Monte Cicogna 2009, Italy ($23.99). This white wine is made of the Trebbiano di Lugana grape. It has a light stone fruit nose. Round and soft on the palate. Interesting flavour of citrus with a mint/herbal edge. Primal Roots White Blend 2012, California. Here is an easy summer sipper for you. Lots of aroma in the glass with red apples, lychee, peach and honey. Off dry (almost dry), lychee and peach flavours with a slight herbal edge. I could not find the grapes on this blend, but I remember there are many different ones. Chateau Pesquie Terrasses Blanc 2011, France ($18.99 SPEC). This is a blend of 70% Viognier, 15% Roussanne, and 15% Clairette. Light honey and dried peach aromas. Medium minus body, dry, with a light acid prickle on your tongue. Light citrus flavour. Elegant. 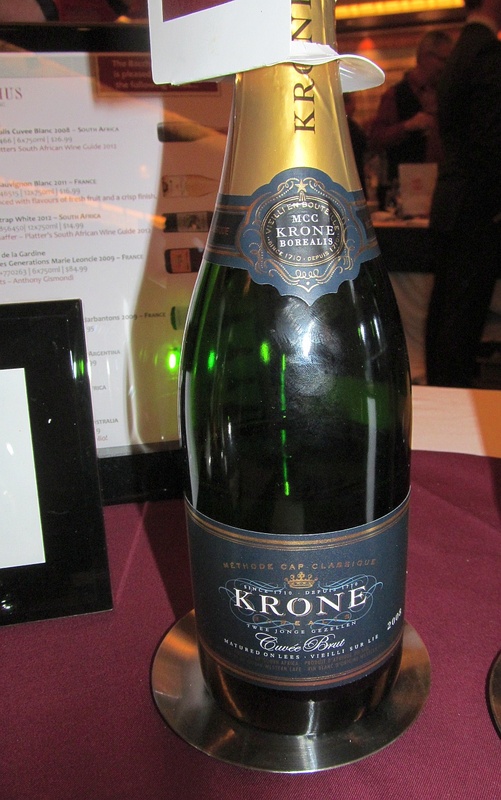 Krone Borealis Cuvee Blanc 2008, South Africa ($26.99 SPEC). In South Africa, they call their sparkling wine method “Methode Cap Classique“. This sparkler is made from Pinot Noir and Chardonnay grapes, and has a nice toasty nose. Light body, dry with a large bubble. Red delicious apples with some oak on the finish. Very nice. Jaffelin Coteaux Bourguignons 2010, France ($21.99 SPEC). This red Burgundy is made from the Pinot Noir grapes, in case you are not aware. It has a nice red cherry nose. Dry, with light body and soft tannins. Red cherries with some sweet spice on the mid palate. Campo Viejo Reserva 2007, Spain. This Reserva level wine is made from Tempranillo, Graciano, and Mazuelo grapes. It had an Old World woody nose together with some cherry aromas. Medium body, dry, with raspberries, red cherries and a whiff of vanilla. Soft mouth feel. A good quality wine. AnimaLibera Alma3 Rosso, IGT 2007, Tuscany, Italy (39.99). A red blend of 80% Sangiovese, 15% Montepulciano, and 5% Colorino. Deep ruby in the glass. Nice nose, with ripe red fruit and some oak. Medium minus body, with light mouthfeel. Red fruits and oak. A very elegant red wine. Altesino Brunello di Montalcino DOCG 2007, Italy ($59.99 SPEC). This was one of my wow wines of the tasting. The nose was really nice with light cherries, mint, spice and oak. Medium body, dry with a light mouthfeel. Nice raspberry and oak flavours on the palate. Soft tannins and medium acidity. Try it. 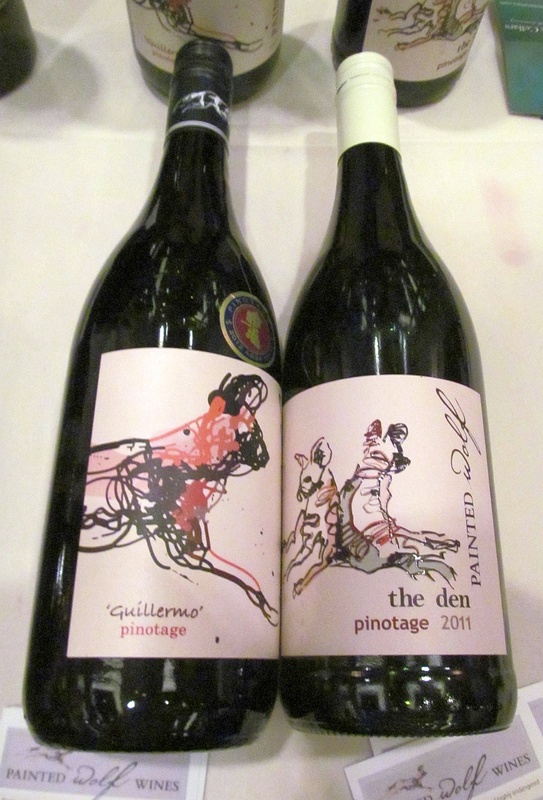 Painted Wolf Wines “The Den” Pinotage 2011, South Africa. I always am on the look out for Pinotage wines, as we do not get too many in BC. This one was very good. It had a toasty, dark fruit nose. Red cherries, some spice, and toast on the palate. There were waves of oak flavour coming in throughout each sip, which was quite interesting. Medium body. Hendry Block 7 and 22 Zinfandel 2010, Napa Valley, California ($49.99 SPEC). Bright jammy raspberry nose. Medium minus body with bright raspberry and vanilla flavours. Soft tannins. Hendry Block 28 Zinfandel 2009, Napa Valley, California ($49.99 SPEC). Brooding dark cherry nose. Medium plus body, round and mouth filling, with lots of ripe cherries and black fruit, and some vanilla to support it. Spicy finish. ERGO Tempranillo 2009, Rioja, Spain ($17.99). Light nose with dark cherry aromas. Lots of mouth filling flavours of chocolate and dark cherries. Dry with medium acid. Nice. ← What’s Wrong with Wine Ratings?